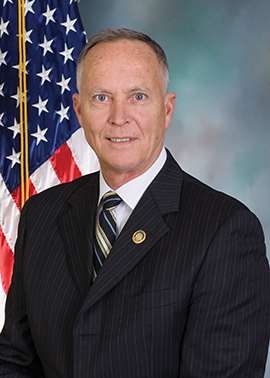 This is state Rep. Curt Sonney’s eighth term in office, having first been elected to serve the residents of the 4th Legislative District in 2004. For the 2019-20 Legislative Session, Curt has been appointed chairman of the House Education Committee. The committee deals with issues pertaining to basic and higher education, as well as career and technical education. He also belongs to the Cancer, Oil and Gas, and Pro-Life caucuses. Curt also serves on the executive committee of the Great Lakes Legislative Caucus, a bipartisan committee of regional lawmakers that will lead state legislative efforts to protect and restore the Great Lakes. A lifelong Harborcreek Township resident, Curt has worked in the private sector prior to running for office. He was a self-employed contractor before taking a job with American Sterilizer, now Steris Corporation, in 1990. Sonney is a former member of the United Automobile, Aerospace, and Agricultural Implement Workers of America. Recognizing education is a lifelong journey, Curt has taken classes at Erie County’s Vo-Tech and has taken engineering courses at Penn State Behrend (now Penn State Erie). He understands the importance of a skilled workforce and believes education and job-training are two of the most important investments leading to job creation. The 4th District consists of the City of Corry; the townships of Amity, Concord, Greene, Greenfield, Harborcreek, LeBoeuf, North East, Union, Venango, Waterford and Wayne and the boroughs of Elgin, Mill Village, North East, Union City, Waterford and Wattsburg. Read more about Curt on his Facebook page.